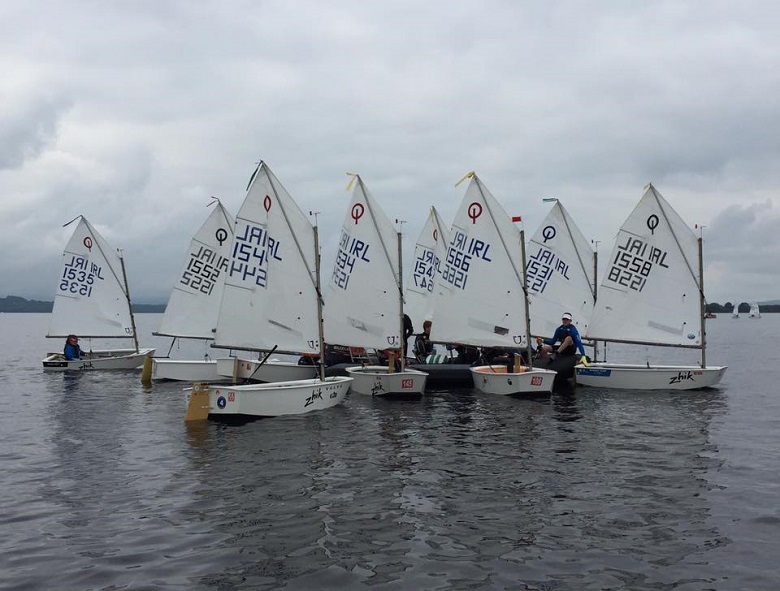 Last week 28 of our Optimist sailors spent the week in the unusual freshwater surroundings of Lough Derg, where LDYC hosted the 2016 Optimist Nationals. It was a week of no wind and lots, but the PRO, John Leech, eventually got a full series of 10 good races in. Our sailors learned to cope with the very shifty conditions found on Irish lakes! 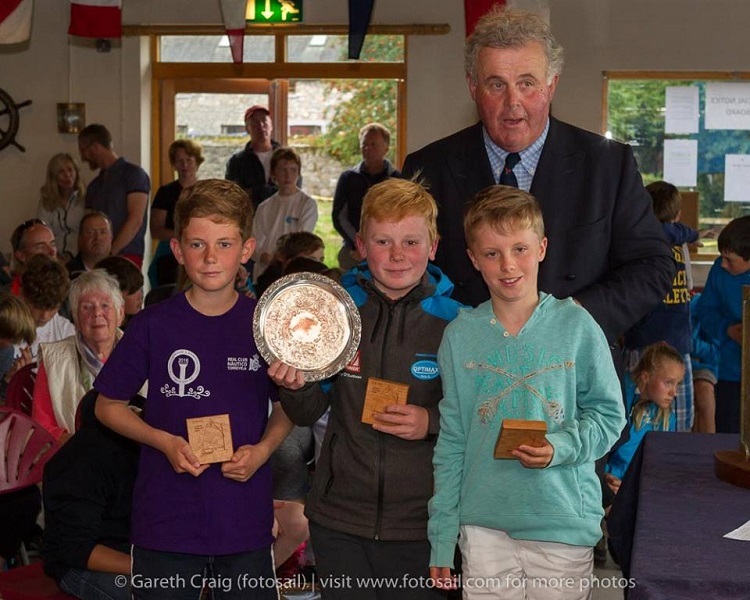 The Junior Fleet had 90 boats on the start line, which included overseas participants from Greece, GB, Australia and Bermuda. This made for very competitive racing throughout the fleet. The Senior Fleet comprised of 60 boats, but the quality of that fleet was equally as strong. There was also a great turnout of 50 boats in Regatta Fleet, where sailors learn how to race with coach support. The club had 6 sailors in Regatta Fleet. 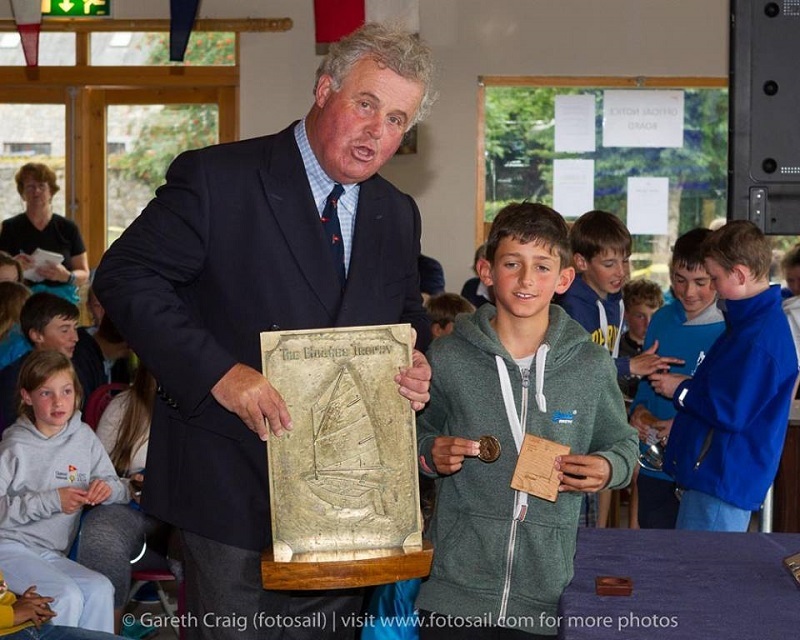 Top placed club sailor was Ryan Nolan, followed close behind by David McSweeney, fresh from a super result of 2nd in the UK Nationals Regatta Fleet. 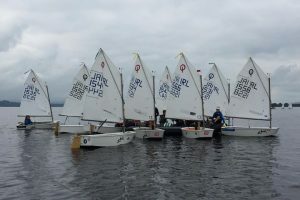 Ellen Bruen and George Pritchard made their Irish circuit debuts, and Charlie Venner and Daniel Burns both also sailed on what was a very sheltered race course just off the clubhouse in Dromineer Bay. 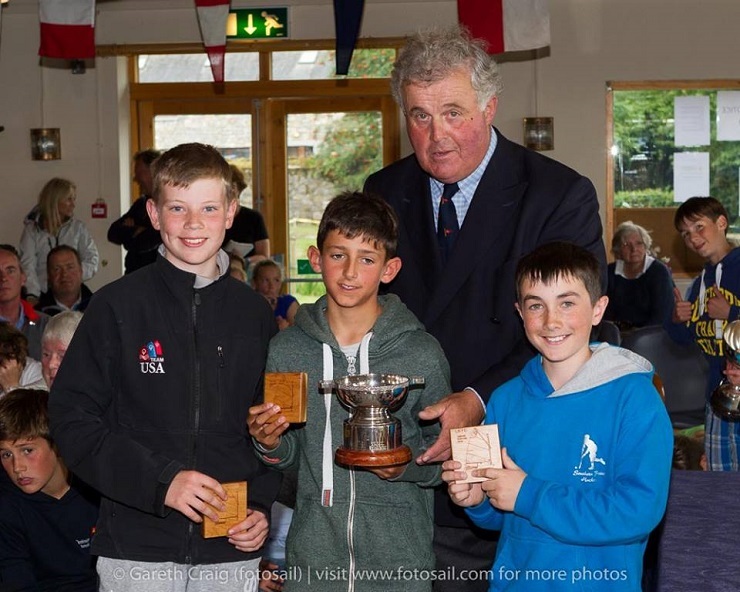 The Junior Fleet saw many of our sailors feature prominently in the results. Jonathan O’Shaughnessy, Patrick Bruen, Richard McSweeney and Jamie Venner all had top 10 results in individual races, with Venner taking home the perpetual trophy for best Irish in an incredibly light Race 8. Hard on their tails were Eoin Horgan and James Dwyer Matthews, with four top 20 finishes between them. In Silver Fleet, Simon Pritchard lead the way with 4th overall. It was great to see our female junior sailors back on the water too for the week, with Lucy Bateman, Ciara Burns, Anna Keal and Eva Spillane. Experiencing Main fleet racing for the first time were Alana Twomey and Emmet Lucas who persevered in often trying conditions. 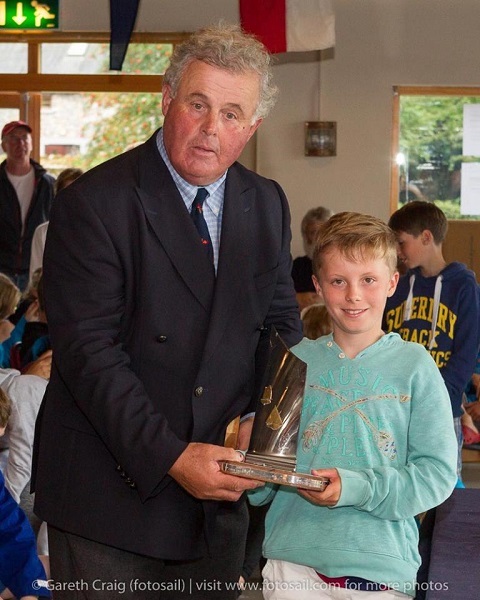 In Senior Fleet, club sailors were equally to the fore. Cillian Foster took a fantastic outright win in Race 5, along with a further 4 top 10 finishes. Harry Pritchard, Rory O’Sullivan, Killian O’Regan and Cathal O’Regan had a total of 9 Top 10 finishes between them. Kate Horgan took a well earned 3rd Silver overall. 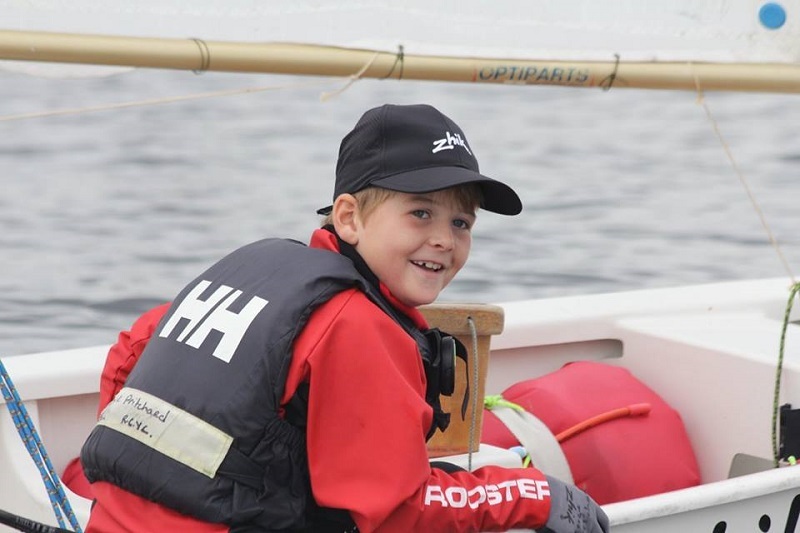 The strength of the Royal Cork Optimist Class is built on participation in league racing, supported with appropriate coaching programmes. This fleet strength delivered the results above, which contributed in no small part to the Royal Cork taking the team trophies in Junior (Venner, O’Shaughnessy, Lucas) and Senior (Foster, O’Sullivan and Twomey) Fleets. However, the Optimist is a single-handed boat, and we came agonisingly close to a Junior/Senior National double this year. Justin Lucas, carrying his form from the French and UK Nationals, took the Junior Irish National Championship by a 29 point margin. Justin won race 5 and only counted one result outside of the top 10. Harry Twomey won Race 1 to open the Senior series, and only counted top 10 results in his score. Harry was leading into the last race but lost out to Tom Higgins by 1 place in that race, ending his series in 2nd overall. 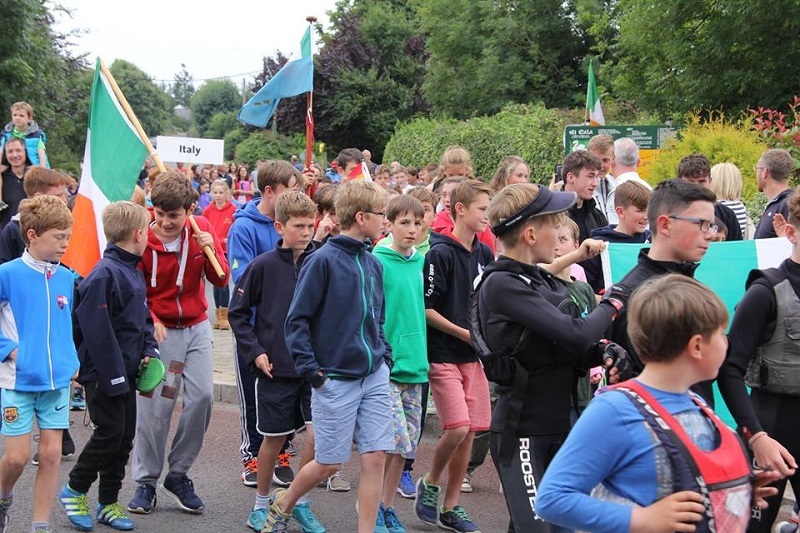 A huge thanks to Lough Derg YC in Dromineer, the parents of all our sailors but especially those on the water, and our class coach, John Durcan. The next event for the class is league racing on Tuesday night, and the next major event is the Munsters which we host on September 10/11.